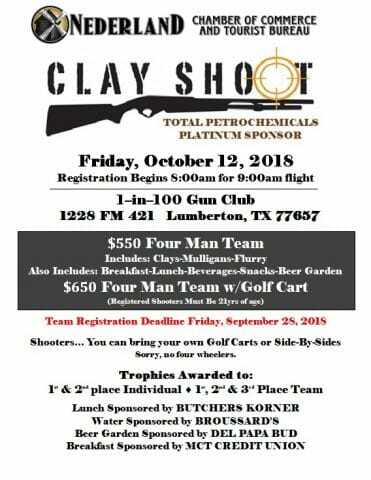 Sign your team up TODAY for our First Annual Clay Shoot. Limited number of teams available. Breakfast, Lunch, Beer Garden, Raffles, Trophies, and a whole lot of fun! 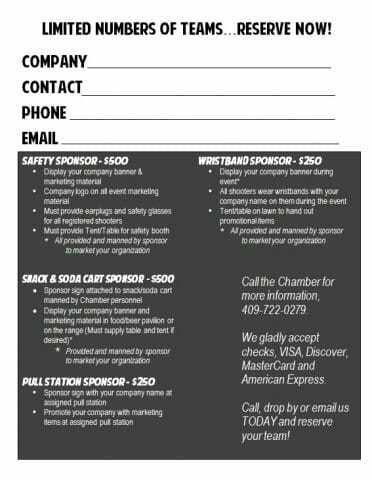 Contact the chamber and sign your team up today!